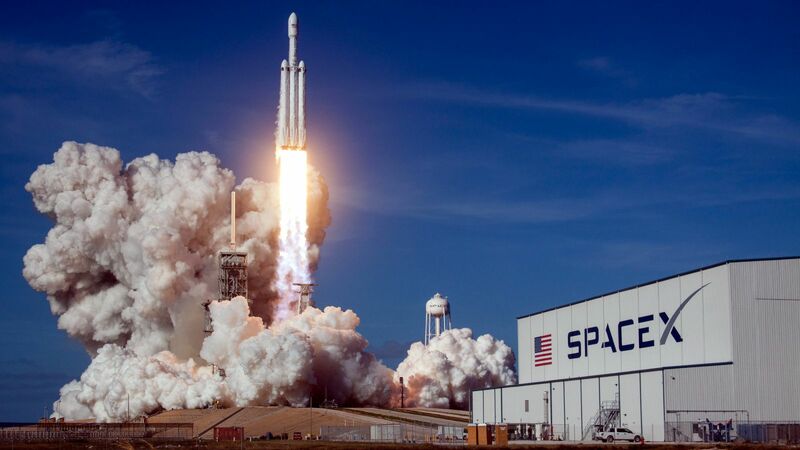 The Falcon Heavy is a SpaceX super-heavy lift rocket that is capable of putting 63.8 tonnes in low Earth orbit (LEO) utilizing two Falcon 9 boosters strapped to a Falcon 9 core which makes up its first stage. 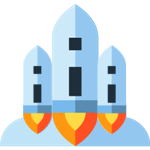 With 5,130,000 lbf of thrust at liftoff, the Falcon Heavy is the most powerful operational rocket currently in use with the three first stages being recoverable and reusable which dramatically reduces launch costs. 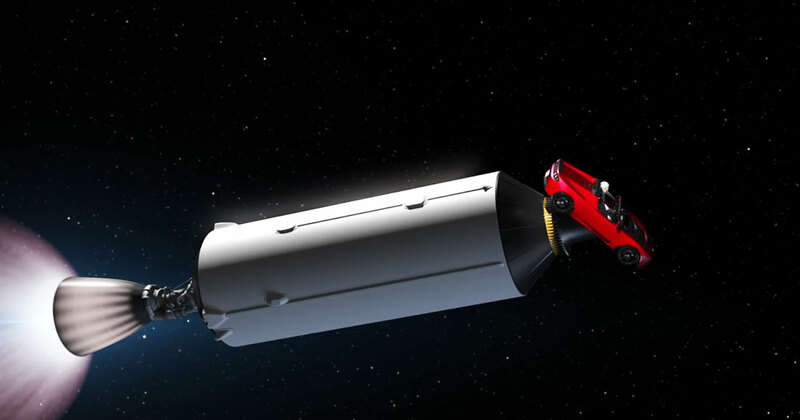 To put super heavy-lift payloads into orbit for potential customers and give SpaceX a launch vehicle capable of sending cargo and humans to the Moon and Mars, the Falcon Heavy was conceived. 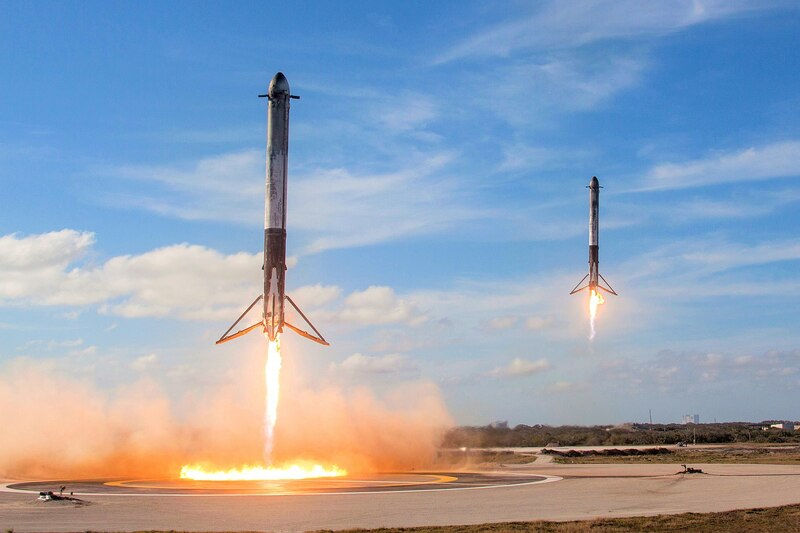 Initially announced in 2011, with a planned maiden launch in 2013, a number of unforeseen factors (such as several Falcon 9 failures and structural challenges combining the three Falcon 9 cores) added to development time, delaying the launch of Falcon Heavy by over 4 years! However, Falcon Heavy's first launch was worth the wait! 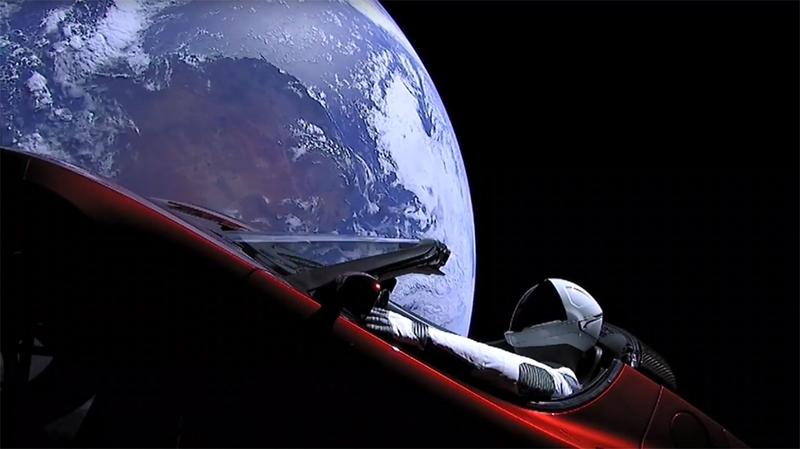 On February 6th 2018, Elon Musk decided to launch his red Tesla roadster as the test payload. 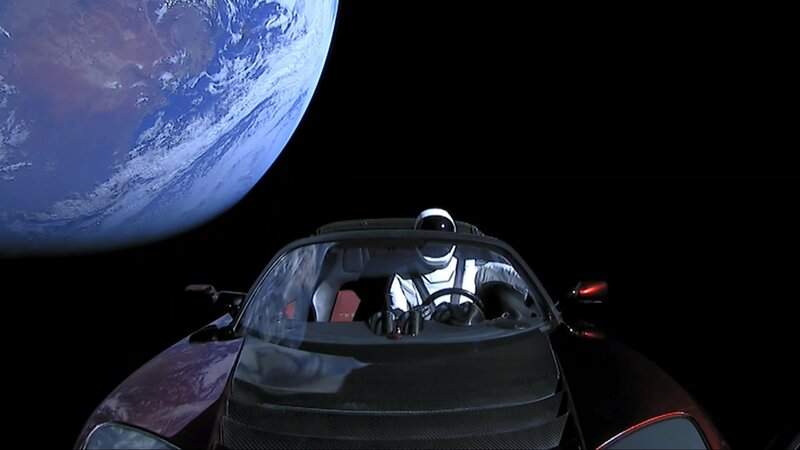 He sent the roadster, complete with a spaceman in the driving seat, bound for the Red Planet playing David Bowie's song Starman! You can watch a summary video or a longer video of the exciting launch here! Top 10 Facts About SpaceX’s Falcon Heavy! 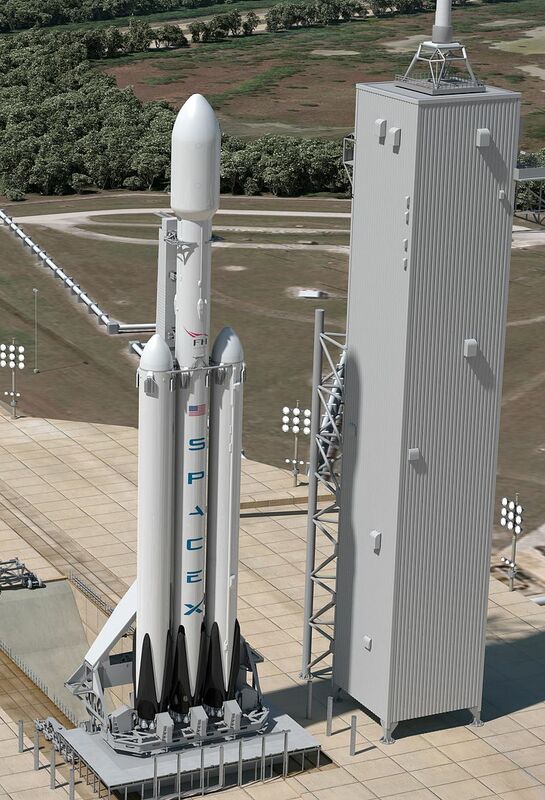 Falcon Heavy stands 70 m (230 ft) high and weighs 1,420 tonnes (3,132,000 lbs) when fueled for launch. The maximum payload to LEO for the Falcon Heavy is 63.8 tonnes (140,700 lbs), but this assumes that the first stages are not recovered when in most cases at least two will be landed on drone ships. The rocket can also deliver 16.8 tonnes (37,000 lb) onto a trans-Mars injection (assuming no recovered 1st stage boosters) paving the way for possible manned missions. The Falcon Heavy launches from the Cape Canaveral Air Force Station on the Florida coast. The three Falcon 9 first stages, that makeup Falcon Heavy’s first stage, will utilize 27 Merlin engines all firing at once! Slightly less than the Soviet N1 rockets 31 engines! The first stage thrust of 5,130,000 lbf makes the Falcon Heavy the most powerful operational rocket currently being flown in the world. Only the Saturn V or Soviet Energia rocket carried higher payloads to orbit. The upper stage is powered by a single Merlin engine which is optimized to operate in a vacuum, providing a thrust of 210,000 lbf. 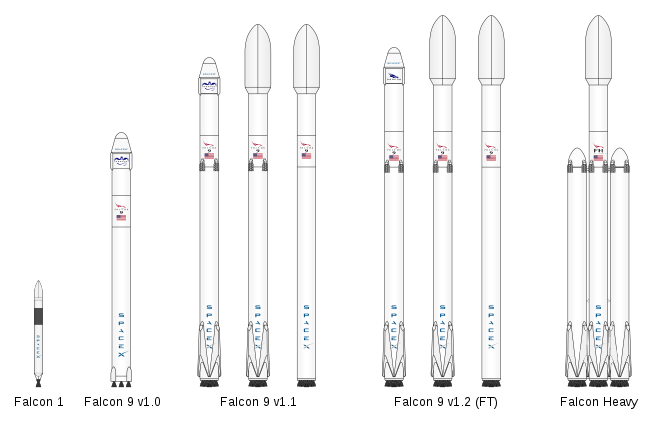 Future versions of the Falcon Heavy may incorporate a propellant crossfeed system nicknamed “asparagus staging” to further increase the payload to LEO. 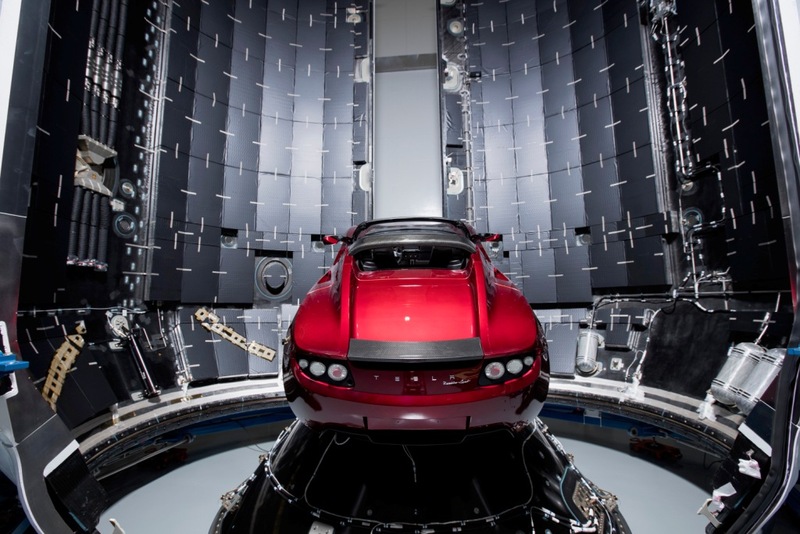 The first commercial mission for the Falcon Heavy was launching a satellite for the US Military in 2018. SpaceX plans to use Falcon Heavy to launch their Crew Dragon capsule with two private citizens on a lunar tourism odyssey around the Moon in late 2018. Learn About NASA’s James Webb Space Telescope!